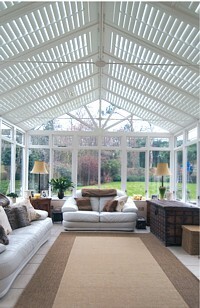 Plantation shutters can do so much more than just look amazing from inside the house and out. Window shutters help control light, give privacy and can reduce your energy bills. 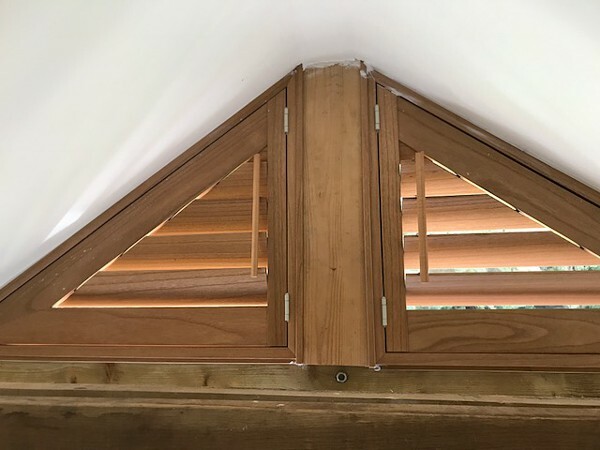 No matter what style interior shutters you decide on — wood shutters or custom plantation shutters - you have a great selection of indoor shutters to choose from AdamsBlinds. There's no such thing as standard window sizes! If you have unique window shapes and sizes to cover, no worries. We'll help you get your own look with custom shutters. Shutters have long been the window treatment of choice because they offer so much more in terms of privacy, ventilation and light control. We are committed to following stringent quality control procedures to ensure that our products are continuously made to the highest standards, with excellent value for money guaranteed across our entire range. Conservatory shutters look great and offer a great deal of flexibility which is simply not possible with most other shading options. 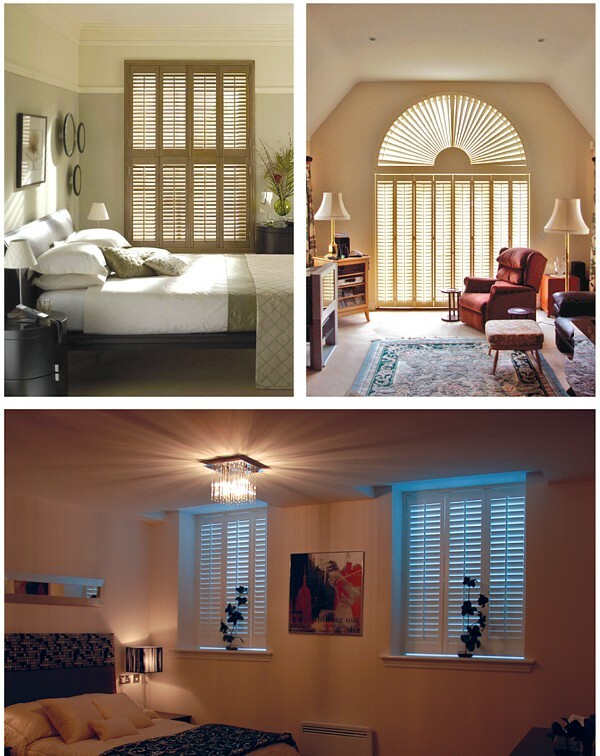 Unlike fabric based shading systems, shutters are easy to clean and suit almost any room or window shape. 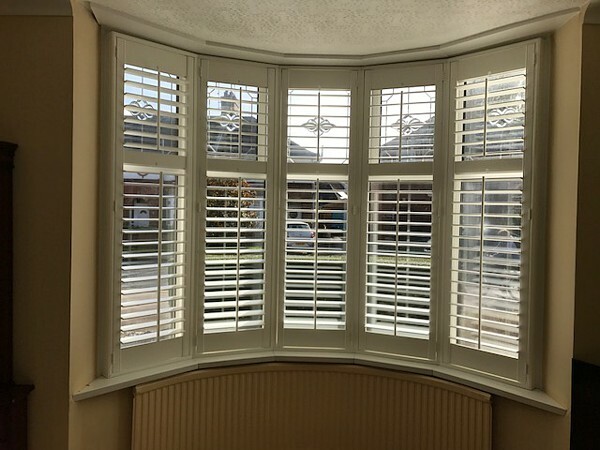 Used extensively over the last couple of centuries in the UK, solid shutters offer better control over light filtration. 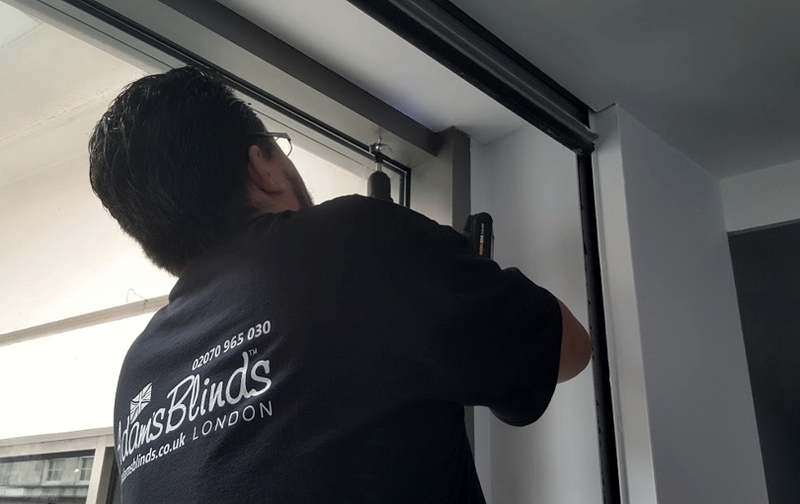 Solid shutters are fitted in the same way as Louvre shutters and are mainly used for folding / concertina tracked partitions and they make very good quality light folding doors. 12mm thick centre panels with 28.6mm x 40mm stles. Now with rebated top and bottom rail options for tier on tier for even less light infiltration. As solid, raised but with top louvres, very suitable for sliding partitions and French Windows with solid bases. Available in a painted oiled or lacquered finish. The "oiled" finish option provides the most natural appearance of any shutter available. The timbers so durable and stable it could be left outside untreated. Basswood shutters are competitively priced hardwood shutters and basswood is a popular material for shutters. Available in limited styles and three white shades with the introduction of limited stain colour option. Although a hardwood it is also very light enabling us to confidently use Popular Wood for large installations. The white timber can be stained to match almost ell timbers accurately, while the grain reminiscent of oak, appears rich and exuberant even when painted. The Parasol's smooth and consistent grain makes it a very robust, high quality hardwood. Strengthened with an engineered core to prevent any possibility of warping, they are well suited to areas where extra durability is required. An engineered eco product comprising of the best off-cut timber which is bound and laminated with epoxy to form a light, durable lumbar core in a choice or three extremely popular white finishes. Maintenance free, very strong, with a wipe clean surface, popular for its budget price but premium looks. Everyone wants a beautiful home that they can be proud of. Utmost comfort and security is also a major consideration for a residence. And with these facts, many people put so much thought and planning into the construction and/or renovation of the home. One of the many elements to be taken into account are windows. And a popular window treatment nowadays is plantation or interior shutters. These are coverings which do not only cover, but they can be assets as well. But first and foremost, why is there a need for shutters? With windows usually made of glass and transparent material, leaving them how they are poses a great risk for you and your family. You are giving consent to outsiders to look into the inside of your house: see your property and see what you are doing. Basically, you do not have privacy. And worst case scenario is, bad people might plot on breaking inside and stealing your things. So, prevent that while you can and cover your windows. On top of that, they are vital in blocking unwanted light. Though sunlight can be good for you and your body, it becomes harmful when you have too much exposure. Sleep time can be disturbed too, especially at night, when illumination from outside sources such as lamp posts enter in. This is where they come in: to keep all of that from happening. Not only that, they help control temperature as well. When cold seasons come, you have the ability to trap heat inside so you still get to be warm without having to keep the heating on full whack, this will allow you to lower your electricity and gas bill over the colder months. Hence, why they’re recommended for all homeowners out there. They are full of purpose and well, they can be pretty pieces that will make your interiors classy and refined. You can absolutely make a statement just by your windows and shutters alone! Typically made of wood, these coverings can be fitted to doors as well. If you have windows that do not have standard shapes such as arched, angled or circular ones, you do not have to worry! They are also very versatile. 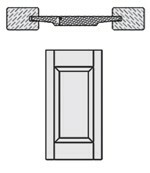 Custom or made to fit units can be created to correspond to your panes. This stylish addition actually has two types: the slatted and the solid kind. They are both pretty similar function wise and their only difference is that the former have slats that you can operate by opening and closing, just like what blinds can do. The solid one, in essence, is stationary and stands as it is. Interior shutters are good because they block more light, they increase privacy and protection, they need less maintenance and all this for a price that is cost effective for the average homeowner. It is definitely a win-win with a plantation shutter. You get function and even aesthetics. There are many designs and styles that you can choose from. There is the full height, where you install the shutter to fit the whole window. Another is the café style. You only set them up in a preferred part so light can still come inside. Tier on tier is available as well. This is where you install two sets of shutters and they operate individually, meaning you can open and/close them together or separately. Colours are not a problem. Depending on the overall look and ambience of your interiors, elegant finishes can be done. Therefore, even from your windows alone, your home is a chic abode. 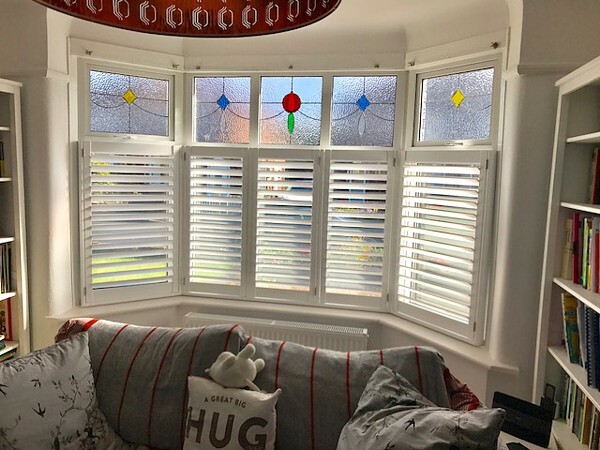 Supposing you have decided to have the master piece which is plantation shutters, you should hire an expert or two to do the installations for you. With professionals doing the work, you are assured that the size and shape of your windows will be precisely measured. And with that out of the way, the fit of the shutter will certainly be exact and accurate since tools of the best kind are used as well. Cleaning and maintenance can also be done. If you have non-standard shaped windows, it can be quite difficult if you tackle the job on your own. With the expertise of a technician, he or she can work it out for you. Really, you do not have to exert any effort – no hassle at all. Transform the aura and ambience of your residence with just the establishment of plantation shutters. Their numerous functions plus their classic beauty definitely make them a staple in every home. As you decide to install window coverings in your home, your best option would be to pick plantation shutters. If compared to blinds, curtains and other draperies, they are absolutely better in terms of function, beauty and practicality. There are many reasons why these are needed for every window. First off, these treatments basically work to block the entry of outside light, especially during unwanted times. For instance, sunlight exposure is healthy but too much of it is bad. Ultraviolet rays can cause skin problems as simple as burns to severe ones like cancer. Lamp posts outside your house can illuminate the interiors if your windows are without covers. For your part, this may cause your sleep time to be interrupted and that is not very nice. They have controls where you can operate them to open or close as you prefer. There may be days you may want to feel some summer rays or perhaps you would like to curl up in a ball on your bed and sleep the day away. You certainly have the sole authority to make them function as you wish. You can be able to trap heat inside your home too. Cold periods like winter come and usually during those times, people make use of artificial sources such as heaters and heat pumps. For a natural approach, fireplaces are also alternatives. Well, they do a very good job in dealing with the chill. They confine the warmth and in turn, you get to save money since you will not have to spend on electricity, gas and even wood. On top of that, plantation shutters provide a great sense of security for you and your family as occupants and for your whole property as well. As you are hidden from the view of the prying eyes of the public, you then live comfortably, both physically and mentally. In essence, you have the luxury of well-deserved peace and privacy. Otherwise, you will not be as ease. Outsiders can look into your home anytime and they can get to see your belongings and even your actions. Do you want to experience that kind of lifestyle? It absolutely poses a major risk for danger. You would not know someone from your own neighborhood might even be plotting to steal from you. Neighbors and cars passing by can cause much noise at times and if you are, say, making your baby sleep, it can be very tiring and bothersome. They also reduce noise and sound so it will be very beneficial to everyone in the family, particularly when some quiet time is much needed. Aesthetics is a big factor in purchasing shutters. There is a wide collection of designs and colours you can pick from, depending also on the general spirit and tone of your interior style. You have to match them for a harmonious and clean view. Having stylish ones will definitely up the worth of the home. For the grandeur it brings, cleaning and maintenance is not as demanding. They are easier to clean and maintain. Since they are usually made of wooden materials, dust is not absorbed as much; if there is, you can just wipe them with no hassle. They are also very strong. They are built sturdy and more, especially when installed and fit well. Banging and rattling by kids will not be able to faze these coverings. 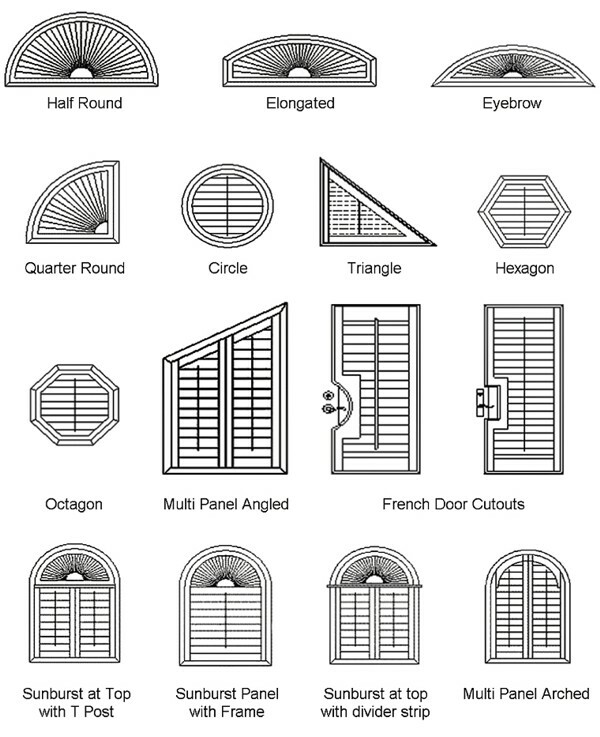 Windows have special shapes such as arc, circles and angles. These are common in many residences for the purpose of style and flair. In any case, custom ones can be made to cater to these kinds. Many people worry about this but you do not have to. 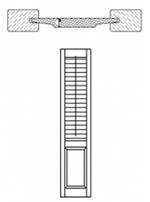 They’re versatile and can be changeable to accommodate the existing window structures. This can be advantageous if you have windows that are simple, bare and with almost no character. Bring them and your whole home into life with shutters that boast of great aura and vibe. Above all, they are cost-effective; the price you pay is definitely worth it. Your investment will for sure be valuable. They deliver on purpose and beauty. What more can you ask for? Valuing your home is normal and with this understanding, these coverings are made available for everyone to get. Do not miss this golden opportunity and choose to install shutters now! It is highly necessary for windows (and even doors) in the home to be covered up. If you value your security and privacy, this is a basic step that should be done. Windows are of glasswork, typically, and if left as it is, people from the outside can just see the inner workings of your home. And that is quite terrible, isn’t it? It can be harmful as well. It is like you are granting permission for outsiders to take in and look through your possessions. You never know, these very folks will scheme to do something bad to you and your family. It is absolutely better to be safe than sorry, right? Transparency of your windows also allows light to come in. This can come in the form of the sun and sources such as lamp posts. Light is good but too much of it can be bad (especially the dangerous ultraviolet rays of the sun). When you are sleeping, you do not want your sleep to be disrupted, do you? Therefore, treatments like plantation shutters should definitely be installed to your windows to avoid these problems and disturbances. These are coverings or screens that you put up for these said functions. They are not only multipurpose, they are also classic in every way. With just these, you get to have a style and flair inside your house. There are different types and they are as follows: Full Height, Café Style, Tier on Tier, Solid Panels and Special Shapes. Full Height is the standard form. It just means they cover the whole length of the window. They can be made with a divider rail in the middle to have two portions. With this, the parallel slats of each area can be operated (read: open or close) together or separately. So, you certainly have more control on the entry of light. This type is pretty popular. There is also Café Style shutters are those that are installed only half of the window. They are also known as half shutters. For a long window, these are usually done on the lower part, with the upper area left un-shuttered. This way, you get the best of both worlds, as you still enjoy some light and a view but still with a sense of concealment. For more independence and freedom, Tier and Tier is perfect. 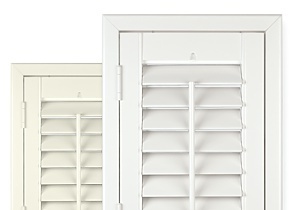 Two sets of shutters are established, where you can control them depending on your preference. For instance, when it is early morning, a little sunlight is great so you can opt to open the top part or perhaps, the bottom one. This can be done with Tier and Tier. Another of these interior treatments are Solid Panels. They are not with louvres like the other types. Basically, they are boards or blocks where light can’t pass through at all. But when opened, they provide full illumination and air as well. Moreover, you will be quite detached from unwanted noise. These are suitable for spaces that need utmost protection and peach such as bedrooms and nurseries. It is common for houses to have windows that do not have standard shapes and sizes like arched, angled and circular. These are done to give a pretty and elegant finish to the residence. Special Shapes can be custom made to fit and cater to this unique variety. Whichever of these you choose, having this type of blind is definitely a great investment. They serve as refined and practical solutions to all your windows. You will not have to worry about disruptions of any kind since they can effectively do their job of safeguarding the occupants and the house itself. These window treatments will surely give your interiors some personality and aura. And if you pick out those with a colour and design that matches and complements the overall look of the specific room, then there is no doubt you will achieve a chic space in the comforts of your own home. Going for shutters is a good decision, they are functional and beautiful. And on top of that, they are low maintenance. Unlike blinds and curtains, they do not absorb dust and so, you can easily wipe them clean. As this fact stands, it then brings no hassle to preserve its original conditions. This will result to a better chance of strength and longevity. Get these plantation shutters now! Make your humble abode lovelier than it already is. For sure, they will increase its value to the fullest! Shutters are essentials as you style the interiors of your home. They are packed with purpose and beauty. These window coverings come in many different colours and designs; it would not be hard to find a set or two that will correspond to the appearance and atmosphere of your abode. Decorating your house windows with plantation shutters is definitely a great investment. But more than their function and style, you also have to inspect and consider the materials they are made of and see which is suitable for you. Wood is a common material but since there are many kinds, they certainly have their differences – advantages and disadvantages. Basswood is one of the superior woods as it is hard and it has a fine texture. Sanding and staining can also be done to make it as smooth as possible. And even with its sturdy feature, it is lightweight. It comes from a tree with a strong trunk so it is absolutely a material of durability. In addition, it has high resistance to heat and water, making it not easy to warp. It will certainly stay attractive and charming for a very long time. A popular one next to basswood is poplar wood. Both types are similar but poplar does not do well with staining. It has mineral streaks and can come in multi colors, somewhat giving it a character. In general, it is lightweight but when compared to basswood, it is pretty heavy. Treatments made of maple are those that are considered with the highest quality. They are very wear resistant; they remain firm and strong amidst dings and dents. This fine wood has a smooth grain as well, so there is no doubt it produces sleek and gleaming finishes. Its denseness is no joke too, making your shutters one that holds and lasts. For a simple, minimal and light look, white teak wood is perfect. It is silver in colour making it gentle on the eyes. It is easy to work with too for you can paint, stain and form it according to your preferences. Moreover, it takes pride on its stability. Now, wood has its artificial counterparts. Polywood is a composite lumber material that is created to look just like wood. This is made from plastic fibers and it is the more cost-effective solution for plantation shutters. Even so, it still boasts of its great resistance to elements like moisture and frequent use. It is absolutely durable and low maintenance but it will need UV-resistant coating to add to its longevity. Unlike wood, poly is much heavier. Among these many types, there is surely one that will fit to your needs and wants. They have varying qualities but all in all, they provide utmost protection and privacy for you. Their prices will not be same but with a budget, you will still get the same calibre and degree of excellence. There is no doubt each of these are built with passion and refinement to cater to your windows. - Before measuring, survey, appointment a price estimate will be sent based on client's approximate measurements and photos.